Chances Scholarship Live and Silent Auction will be on St. Patrick's Day from 2-4 pm at Riverbend in Bailey. 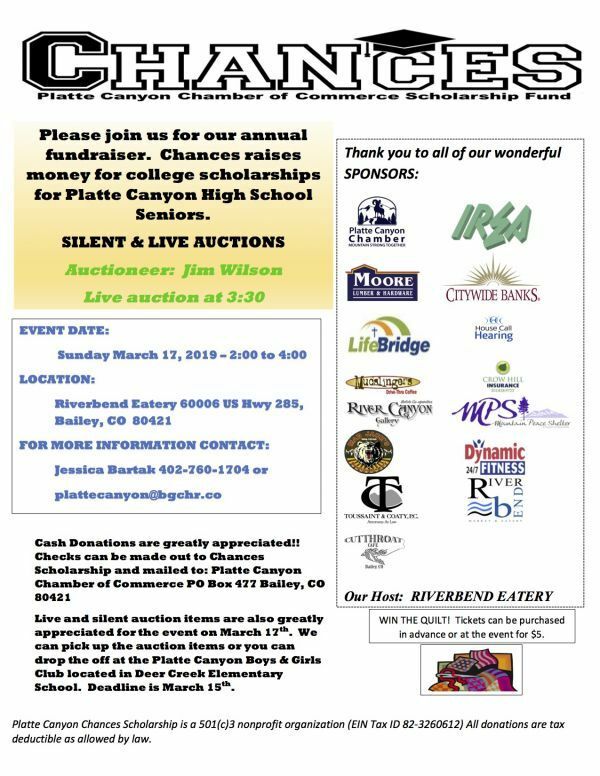 All of the proceeds from this event will benefit graduating seniors from Platte Canyon High School as they pursue additional education. We have a lot of great items that will be up for auction, stop by and check it out!